Missing teeth can be replaced with dentures, removable plastic or metal structures which use the gums and/or teeth for support. They are ideal for replacing several missing teeth and are a cheaper option than e.g. dental implants. 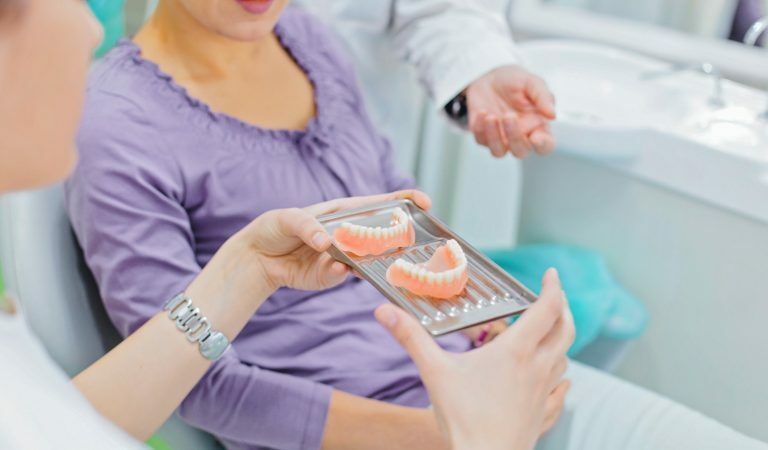 Those who wish for firmer dentures or who cannot tolerate the bulk of a denture, dental implants may be a solution. Regular check-ups are important to detect signs of oral disease including oral cancer even where there are few/no teeth. Find out more about Oral Cancer Screening here.